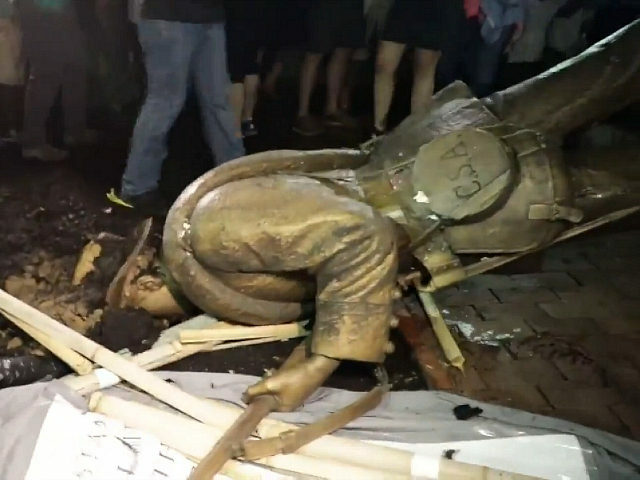 - Ignorant, intolerant, vandals (called 'protestors' by the complicit MSM) destroyed 'Silent Sam' at UNC Chapel Hill last night. America's Left has much in common with the Islamists who destroyed the Buddhist statues at Bamayan, Afghanistan. Can't reason well enough to articulate an idea, or express a logical reason 'why' but disagree with something anyway? Because...well, uh #because! - Destroy it, like the ignorant savages you are. There is a war, and it has always been with humanity. And it's "on" right now.